The North - flat caps, coal miners, working men's clubs, trade unions, deep fried mushy peas, the Blackpool Tower and the M1? Is that all there is? That and a load of Scousers on welfare? For too long the North of England has been downtrodden and ridiculed by the fairies of the South and the time has come to set the record straight. What would the modern world be without the Industrial Revolution? Would pop music even exist if it weren't for the Beatles? How could television survive without Corrie and Last of the Summer Wine? And would comedy be as funny if not for Roy Chubby Brown? Northerners' taught Britain how to live, eat, dress, work and love, and what do they get for it? Council tax and ASDA. 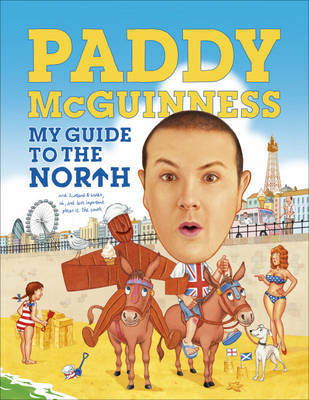 And so, Paddy humbly presents his GUIDE TO THE NORTH as a way to right the wrongs of history and the BBC. To celebrate the towns, cuisine, women, culture and haircuts - and to teach his brothers and sisters down South why Northerners are better than them.